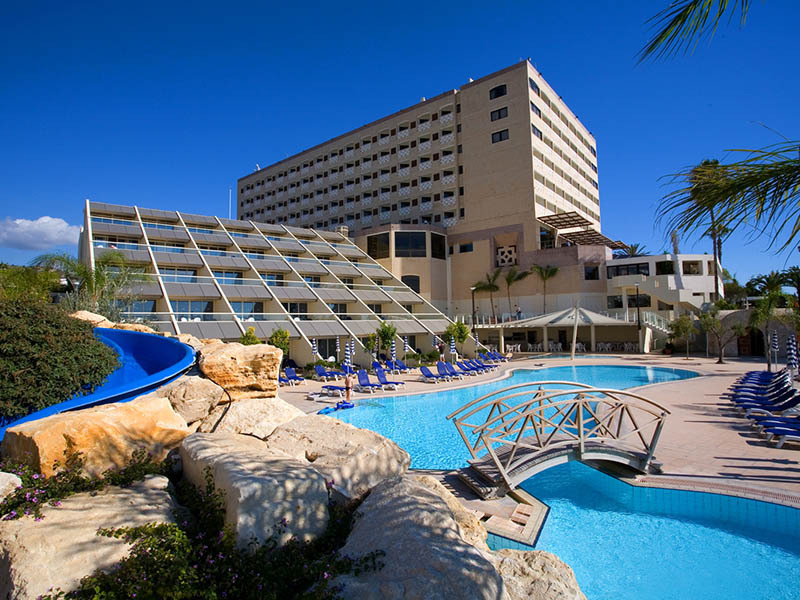 The St. Raphael Resort is located on one of the most renowned and largest beaches in Limassol, only a short coastal drive from the lively centre of Limassol, approximately 11km away. There are shops, restaurants and bars within walking distance and a bus stop exactly outside the hotel. 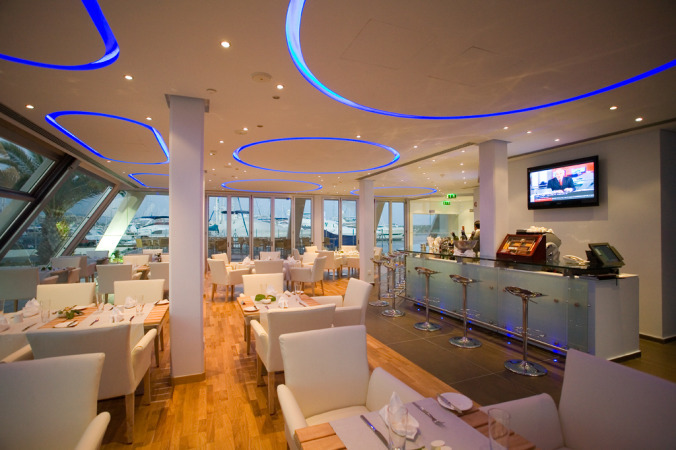 Sailor’s Rest Lounge Bar Restaurant by the St Raphael Marina is one of the best restaurants in Limassol Cyprus. Situated in the unique location in the heart of the St Raphael Marina, offering spectacular views over the Mediterranean Sea and yachts, the restaurant serves an array of gourmet cuisine with fresh fish, meats, salads and pasta. 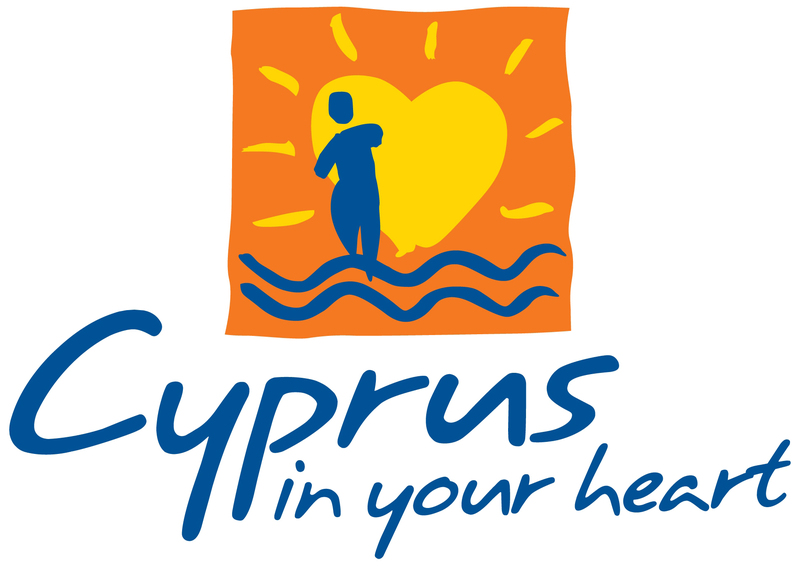 Seashells Beach Tavern Experience a casual atmosphere while dining on one of the largest blue flag accredited beaches in Limassol Cyprus. Seashells Beach Tavern is open during the summer only. A relaxed restaurant that serves a variety of fast food, grills, salads and desserts. The Palladium Serving international themed buffet dinners with live musical entertainment several times a week, this glamorous restaurant is the ideal location to indulge in some of the best cuisine from around the globe. The Phoenician restaurant A fusion of Mediterranean and Arabic cuisine served as a meze. This sumptuous treat includes a variety of starters, pastries and grilled meats of the best of the Mediterranean and Middle East. The Captain’s Bar, with its’ nautical theme and elevated view over the Mediterranean Sea, offers guests the perfect retreat while enjoying a drink or snack. Splash Restaurant The perfect outdoor restaurant for those who would like to have a casual atmosphere while dining by the new outdoor swimming pool of the executive wing. It is open during lunch and early dinner. 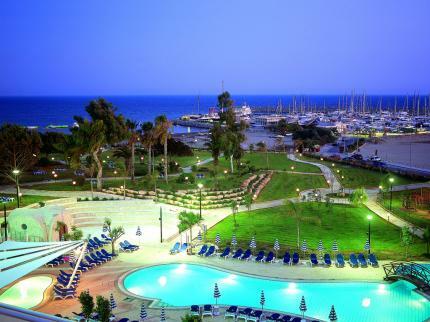 The wet and dry Amphibion Bar has been a symbol of St. Raphael Resort since the hotel first opened in 1987. All guests enjoy swimming up to bar and ordering a long awaited cocktail while bathing in the beautiful Mediterranean sun and talking with friends on the other ‘dry’ side of this well known bar.